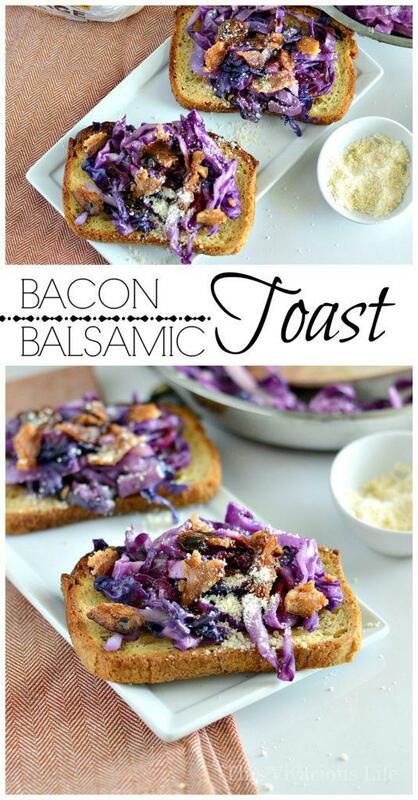 If you are a fan of toast, you are going to love this bacon balsamic toast. 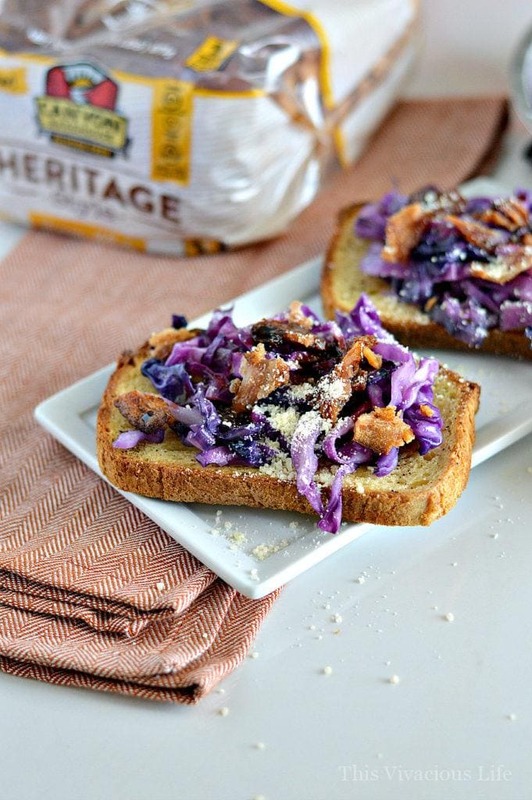 From buttery bread to crispy bacon, these toasts have it all. 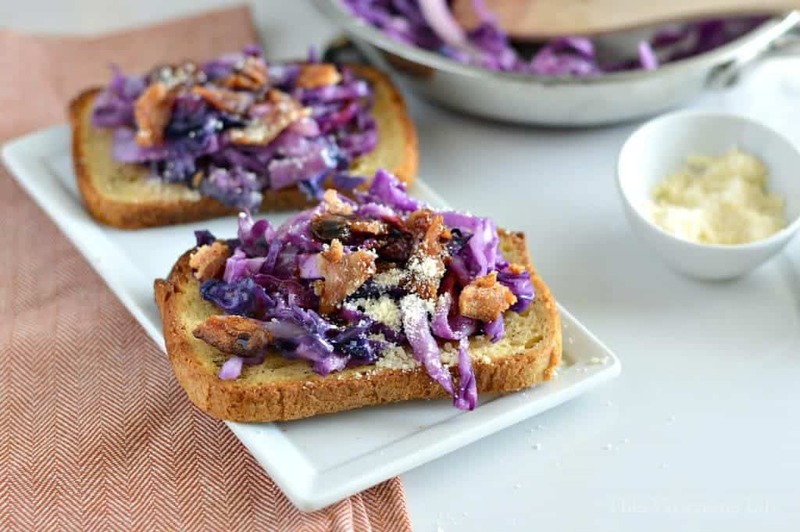 This gluten-free bacon balsamic toast is flavorful, full of color and so delicious! The best part is that they can be made in minutes. 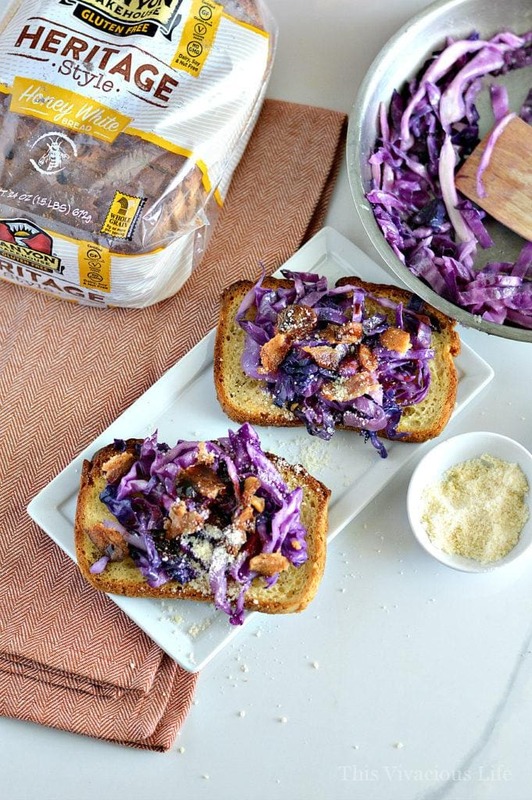 This bacon balsamic toast recipe came about after Canyon Bakehouse challenged us to create a recipe for a friend. My sister Brittany absolutely loves this purple cabbage salad that I make. It’s actually one of her favorite things to eat when we get together so I knew I needed to turn it into a toast. 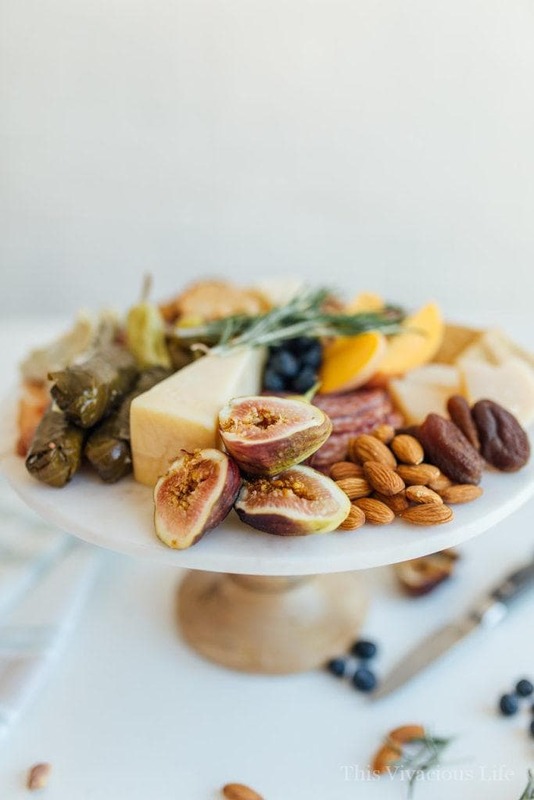 She also loves our gluten-free charcuterie and cheeseboard but that would be tougher to make into a toast. 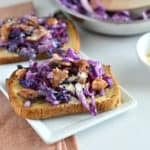 Anyways, this cabbage salad is usually enjoyed with a fork on a salad plate but turning it into a toast makes it more mobile. My sister is a busy girl so this travel toast is best for her. 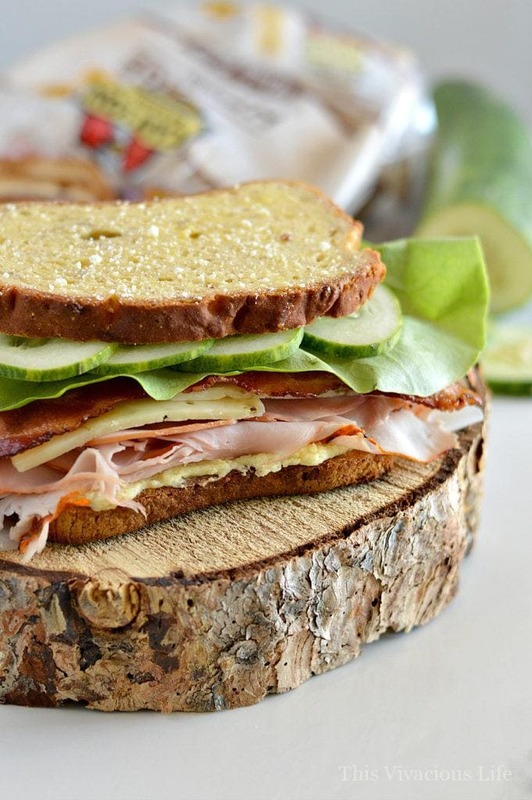 Toasts are all the rage, but they are usually topped with mashed avocado. I wanted to make a more personalized toast for her. 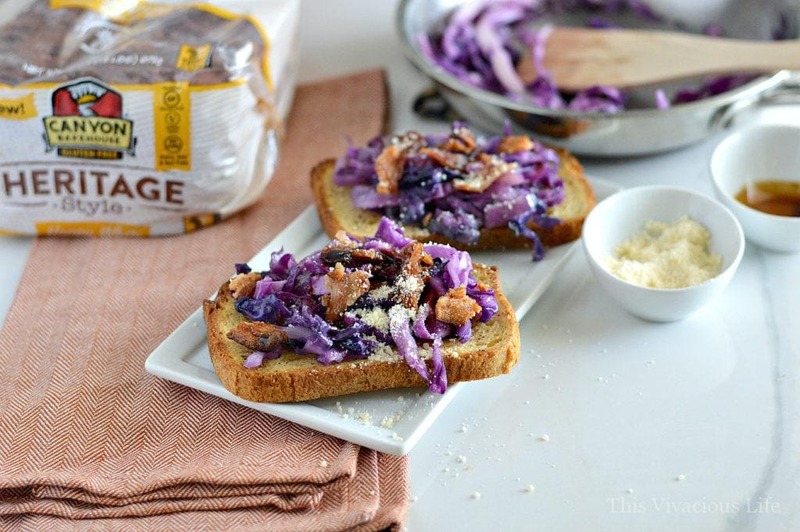 Bring the cabbage to life by using the reserved bacon grease. I will say that another tip is definitely to use the aged cherry balsamic drizzle over the top of everything. Make sure you get a nice thick grand reserve balsamic though for the best taste and texture. It’s also fantastic in this slow cooker balsamic roast beef recipe from my friend Erin at Meaningful Eats. 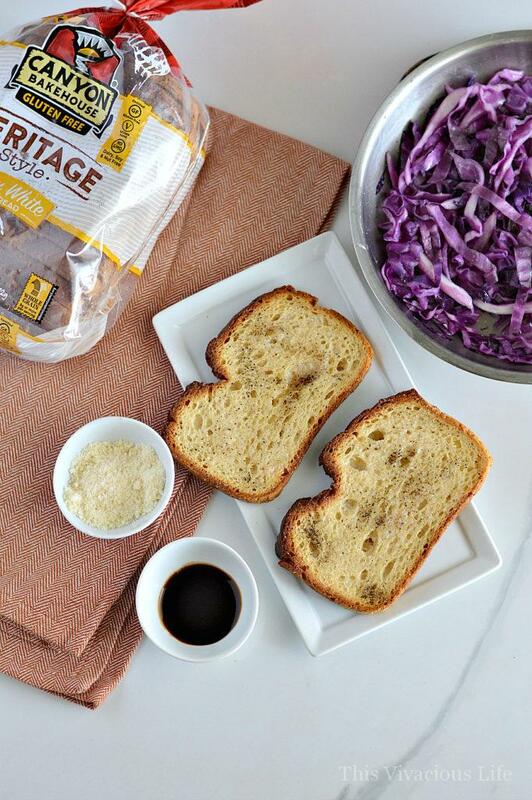 The best part about Canyon Bakehouse bread is that everyone can enjoy it whether gluten-free or not. 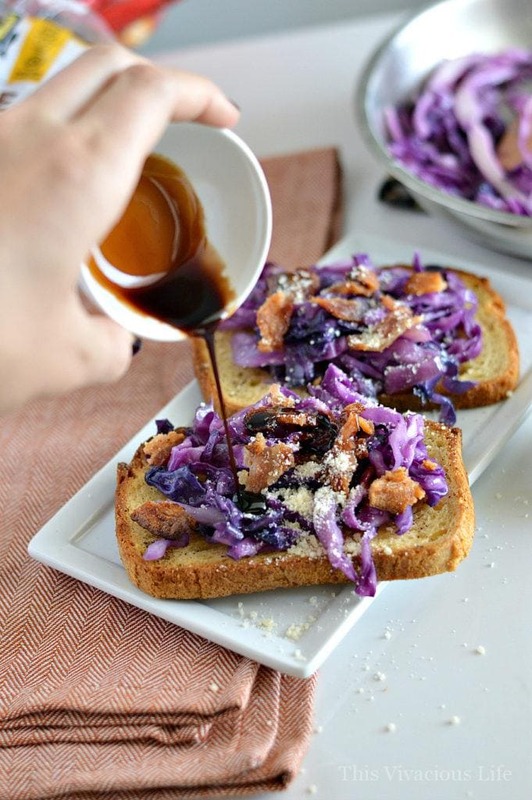 My sister is not gluten-free but she would happily eat this bacon balsamic toast again and again. 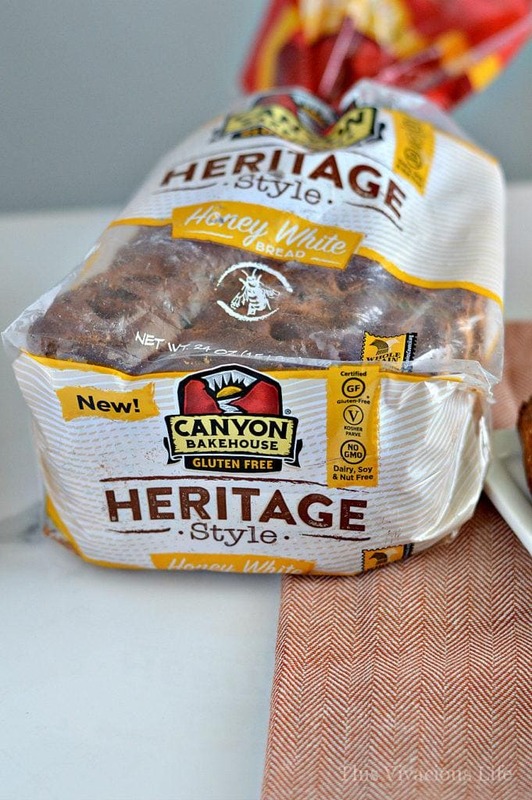 Canyon Bakehouse bread is soft and flavorful. They have a huge variety of flavors as well as different sizes. They even have bagels. 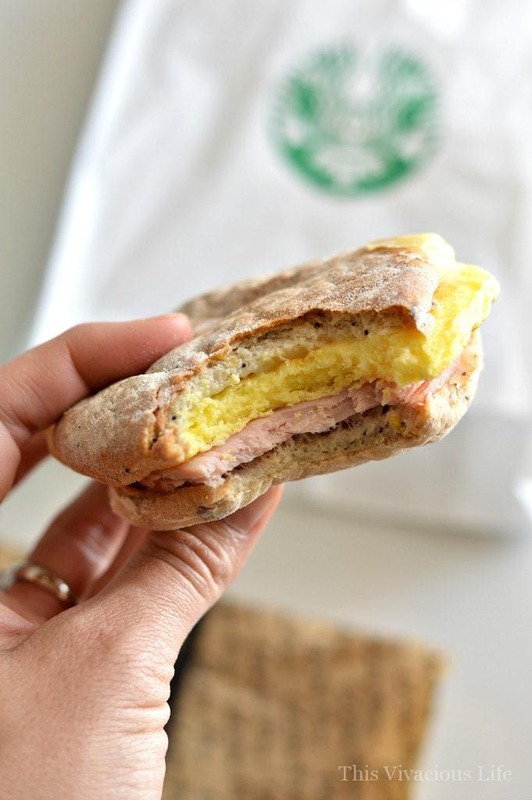 The everything bagel is especially my favorite for making sandwiches. 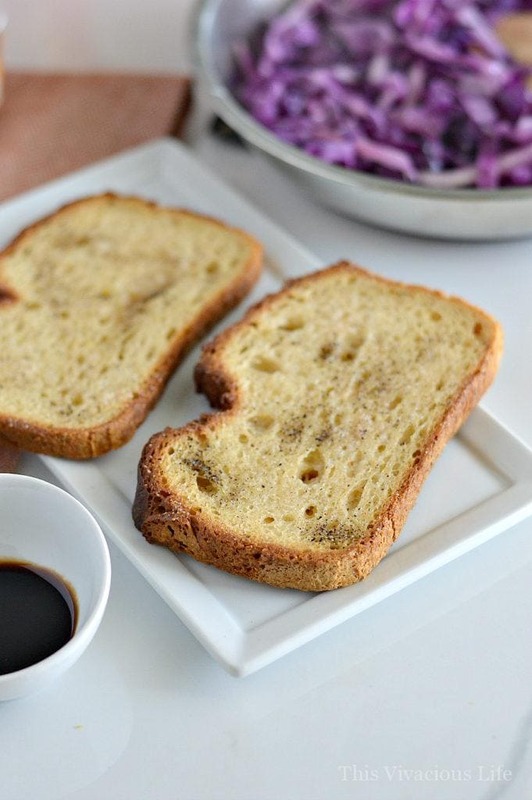 So what’s your favorite way to use bread or toast? 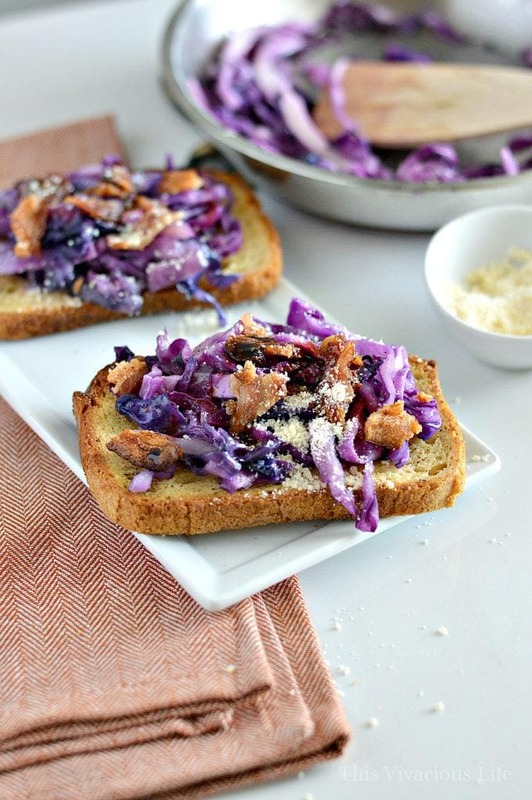 I love a good slaw, but adding it to toast adds even more texture and makes it easy to take on the go! *Thanks to Canyon Bakehouse for sponsoring this post. I was provided with monetary and product compensation. All opinions are my own.